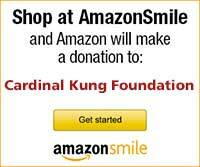 Stamford, Connecticut, U.S.A. - The Cardinal Kung Foundation, an advocate of the underground Roman Catholic Church in China, released today a letter received from a highly reliable source in the underground Roman Catholic Church. This letter recounts the atrocious acts of ongoing persecution of the underground Catholic Church and those of the past few years in Hebei, China. The writer reminded the free world that "The culture revolution is still madly in progress here. It is more cruel than the culture revolution in the 1960's." "We should all read this tearful and shocking account from this underground Catholic" said Joseph Kung, president of the Cardinal Kung Foundation, "and then decide on the credibility of the claim of the Chinese government that there is no religious persecution there." The following events are excerpts of the Letter, with some supplements from the Foundation for greater clarity and easier reading. These passages, listed in chronological order, only dealt with the province of Hebei, especially in Baoding area. They are by no means complete. Prisoners who are still imprisoned or prevented from carrying on their ministry, or on the run are underlined and listed in italic bold print. We also urge you to download the latest prisoner's list at our web site. In 1991 and 1992, the Chinese government killed Bishops SHI Chunjie, LIU Difen, and Joseph FAN Xueyan while they were incarcerated. The story of the battered body of Bishop Joseph Fan was published in the Italian newspaper Avenire. The date of the death of Bishop FAN as announced by the Chinese government was April 13, 1992. His body was transported to Baoding on April 16. Later, a public official secretly disclosed that Bishop Fan died in February. Bishop Fan was secretly detained in a mosque in Shijiazhuang City. On November 22 1995, under the command of the Qingyuan governor LI Fuqiu of Baoding and his chief of Security Bureau WANG Ruifu, more than 200 fully armed public security personnel came to Beidengcun of Qingyuan, and completely leveled an underground Catholic Church built by the villagers. Fifty Catholic villagers were injured, seven were arrested. On December 21 1995, the first anniversary of the death of Bishop CHEN Jianzhang who was jailed for almost thirty years, more than one hundred armored cars and over one thousand armed police sealed the Anjiazhuang cemetery to prevent people coming to pay homage to the Bishop. More than twenty Catholics were arrested. On February 8 1996, under the command of LI Sen, the vice-mayor who is also the Chief of Security Bureau of Baoding, several hundred fully armed police again invaded Anjiazhuang. They arrested the auxiliary Bishop AN Shuxin and layperson GUO Gengmin, AN Xianliang, YAO Jinqiu, DI Yanlong, and GUO Jianchen. They also closed a historic Catholic Church in Anjiazhuang. The government officials warned the faithful not to hold prayers meeting again in private homes; otherwise, they would be severely punished. In Damagezhuang, Xushui County, two lady Catholics were also arrested and humiliated, because they sheltered some underground seminarians in their homes. In February 1996, the security bureau kept Bishop SU Zhimin and several other priests under house arrest, pressuring them to join the government sponsored Patriotic Association which was established in 1957. It is not recognized by Pope John Paul II. Father WANG Shengguo and Father MA Qingyuan of Baoding are being pursued for capture by the authorities. This pursuit is still in effect. The security bureau of Yixian County placed Bishop LIU Guandong under house arrest. Bishop LIU was half paralyzed. He was kept on 24 hours surveillance and was not allowed any visitors. In January through June 1996, several hundred plain clothe agents from the government gathered twenty primary school teachers in Dong Lu village and ordered them to prohibit religious activities among students, and forced students to write letters of apostasy. These letters stated: "…..in order to respond the Party's leadership and to continue my education, I hereby renounce my Catholic religion…..". Students who disobeyed were beaten and dismissed from school. Teachers who disobeyed were fired and arrested. At that time, the government had already forced about 4,000 Catholics villagers to renounce their religion in Baoding. There were about 4,000 Catholics in Dong Lu. 2,000 of them were beaten or fined for their religious activities. In April 1996, WANG Tongsheng, the brother of Father WANG Shenggho (item 5, second paragraph), ZHANG Dapeng, the acknowledged lay Catholic leader of Baoding diocese, and WANG Chengqun, a land donor for the use of the underground Catholic Church, were arrested. ZHANG Dapeng and WANG Chengqun were sentenced to three years and were severely tortured. ZHANG is now very sick from liver ailment. WANG Chengqun is now half paralyzed. Both are now released for medical reason and are still under strict surveillance. 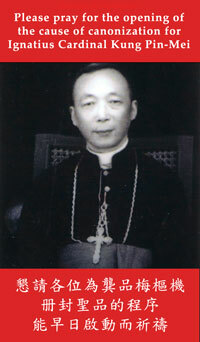 WANG Tongsheng was ordered by the police to seek out Bishop SU Zhimin and Father WANG Shenngguo, who were in hiding. WANG Tongsheng escaped and is now in hiding. He is being actively pursued for capture by the authorities. He has nine children. In May 1996, Fathers. HU Duo, XIAO Fengzun, MA Shunbao, WEI Laogen, CUI Xingang, DONG Qi, and SHI Qiuliang and many others were arrested. The Vice Mayor of Baoding, LI Sen, alluding to the security agents said attacking the underground Catholics in a more harsh way than usual is allowed as long as they were not killed. Even if the agents had beaten some Catholics to death, LI Sen promised that the Party would take care of the matter. In May 1996, the following lay persons were arrested and beaten, because the public security personnel discovered religious books in their homes. DANG Xiaopu - Severely tortured and injured. Was beaten by several agents taking in turn. In May 1996, ZHANG Xinyue of Nanmanying was arrested and tortured for his religious activities. He was fined for $ 80,000 JMB (about US$ 10,000. The average monthly wage for a village worker is about $ 300 JMB or US $ 38). April through May 1996. The focus of all task forces of all levels of government in the Baoding area was to stamp out the underground Roman Catholic Church and to prevent the pilgrimage to Dong Lu. All the faithful were forced to gather in the village. The security personnel searched every house for priests, seminarians, nuns, and out of town pilgrims whom the authorities suspected hiding there . All roads leading to Dong Lu were barricaded by guards around the clock. The public bus drivers announced that they had orders forbidding Catholics to board buses. On May 1 1996, Several hundred fully armed security agents came to Dong Lu to place Dong Lu under military control. Propaganda trucks with loud speakers broadcast warnings that any family sheltering out-of-town visitors would be fined. At night, the security agents would barge into private home several times to search. The public street fair was not allowed to remain open. Catholics were not allowed to leave the village to work in the field. Many, many visitors from out of town were arrested, beaten and fined. On May 15 1996, an underground Catholic Church in Dahoucun, Qingyuan was closed by the police, forcing the Catholics to attend a "re-education class" which was none other than an accusation session. A Mr. Chen was out of the village at that time and did not return in time for the Class. He was fined $ 1,000 JMB. Mr. Chen protested and ended up by having his whole house ransacked. The authorities confiscated his television, hi-fi, and other valuables. The communist party in the village registered all the Catholics, and ordered them to report to the Party's office daily, up to twelve times a day. If they were late by one minute, they would be fined by $ 10 JMB. For each absence, the fine was $ 50 JMB. On May 16 1996, the Commander of the military units for Beijing came to Qingyuan to inspect its 38th army corps which carried out various orders camouflaged as a military exercise. This army unit remained in Dong Lu for more than one month. On May 22 1996, The underground Catholic Church at Quankuncun, Qingyuan was closed by the authorities. Its crucifix, Holy Eucharist, and many holy articles in the church were confiscated. The church is now being used as an office of the village's communist party. On the same day, a prayer house in Jiangzhuangcum, Qingyuan, was also closed by the authorities. Its contents were all burned. The uncle of WANG Qingchen, a Catholic in the village, happened to come by to visit without any permit. He was fined $ 500 JMB. On May 25 1996, several thousand fully armed soldiers destroyed and leveled the Dong Lu Marian Shrine, a national shrine since 1924. On May 26 1996, an underground Catholic Church in Nansongcum, Qingyuan was destroyed by the authorities. The contents in the church were burned. The authorities ordered all Catholics in the village to hand over all their religious articles. On May 31 1996, a prayer house in Xiwanglicun, Qingyuan was closed. The contents in the house were all burned. About a dozen Catholics were found praying in the house of LI Liangtai. Each person was fined $ 500 JMB. An underground Catholic Church at Tiangezhuang, Qingyuan, where Bishop SU Zhimin lived, was closed by the authorities. This church is now being used as the public security's police station. In early June, 1996, the communist authority gathered all Catholic nuns in Quankuncun, forced them to enroll in a pre-marital class in an attempt to induce them to marry. Many agents took the opportunity to abuse them. On August 15 1996, the Feast of Assumptiom, ZHAO Huanwen of Quankuncun, sister-in-law of Father WANG Shengguo (item 5) invited her eighty year old uncle, Father ZHAO Tingbin, to offer a Holy Mass in her house. As a result, she was detained for 15 days and fined for $ 2000 JMB. At the end of August, a number of other families were also fined a large sum of money for the same reason. In August 1996, the authorities took a number of detained priests and nuns to a dancing hall and pre-arranged several dancing girls to seduce them. This event was secretly photographed. Afterwards, the authority used these photos for propaganda in an attempt to destroy the reputation of the priests and nuns. In September 1996, nine prayer houses and churches belonging to the underground Catholic Church in Baitapu, Shakou, Xiefangying, Zhengcun, Shijiazhuang Village, Chunmuyu, Duoshuizhuang, Liangzhuang, and Huqu were all closed by the authority, because the Catholics in these villages refused to join the Patriotic Association. In 1996, LI Shengxin of Zhuotoucun, Anguo and JIA Futian of Yangzhuang, Shenxian County, Hengshui City were arrested. Both were sentenced to three years. LI for unspecified religious activities and JIA for accepting a priest to offer a Mass in his village. October 8 1997 - Bishop SU Zhimin was arrested in February 1996. Later, he was rescued by his flock, went into hiding for seventeen months, was finally hunted down by the authorities on October 8, 1997. His whereabouts are unknown. In September 1997, a young priest WANG Quanjun was arrested for secretly offering a Holy Mass for his faithful. Although he was just released in January, 1998, he is under strict surveillance. MA Yuntian and WANG Shengrong of Tiangezhuang, Qingyuan were arrested and fined for attending an underground Mass without permission. MA was severely tortured. WANG is the sister of Father Wang Shengguo (item 5).